MumsPages is an online marketplace for You, your Children, your Home and Work. We make it quick and simple for you to connect with Businesses and Service Providers near you, wherever you are in Australia. Every day, Australian Mothers are searching for trusted businesses or services nearby so MumsPages was created, by a Mum, for Mums. Are you wanting to get a Spray Tan close to home? Searching for a local Basketball class for your child? Do you need a Plumber quickly? Are you looking for an IT expert near you? Or are on the hunt for Arts and Crafts your parents can do with your kids? You’ll find it on MumsPages. You can list, discover or book a business on MumsPages and as we grow you will be able to read real reviews from Mums like you, to give you that added assurance. Whether you are in South Yarra VIC, Subiaco WA or Bondi NSW find what you’re looking for. If you are a Business we aim to help you find more customers easily and ultimately be more successful. Create your own page on MumsPages and make it stand out with the extensive features we offer. You can now also take Bookings through your own page and post regular Blogs. If you don’t have your own website, no problem, your page on MumsPages will be all you need. We are continually expanding the listings and content on the site as well as adding new functionality to deliver the best possible experience and value to both visitors and businesses listed. If you are a Business or Service Provider and you are not listed on MumsPages, please add or claim your business listing. For more information about MumsPages please contact us here. Carly Abrahams is the Founder of MumsPages, she worked in Communications for over 15 years and in 2012, whilst looking after her toddler, she started an online community (Mums the word-Aus Facebook Group) for Australian mums and mums-to-be. Her network quickly grew to the thousands and in 2017, Carly is expanding online to a full service marketplace, MumsPages. “Running the mums group for the last few years, it became obvious very quickly that small businesses struggle for places to advertise or promote their offerings to their local target market, without it costing more than they could afford. “They started approaching me to promote in my Mothers Facebook group, which worked well to a point but is restrictive given the limitations of Facebook. “I wanted to offer small businesses more and I wanted to offer Australian Mums more. Carly has lived and worked in New York City, Johannesburg, Melbourne and Sydney Australia, where she currently resides. 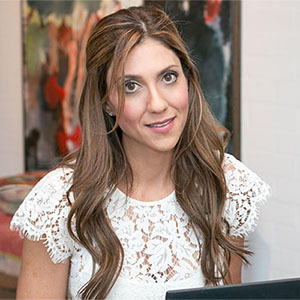 Combining her global experience, with her career in Communications, her parenting knowledge and insight into Australian Mothers, she is looking forward to making MumsPages the go to site for Mums.